You’ll see a lot of the equipment we use, several helicopters, and…how a commercial aerial film shoot typically runs. I happened to be working alongside some pretty important names in the film game – Alfie Speight does a huge amount of aerial filming on big budget movies such as Lord of the Rings, Peter Thompson has been a pioneering aerial HD cameraman all over the world, and Peter Young is the owner of Fisheye Films which has made some fantastic television (including a fav of mine ‘Hunger for the Wild’). The behind the scenes has been shot on the run ‘gorilla’ style, mostly on my Canon G10 when not photographing, which will make you feel like you were there from the curtain call at 5am (had to speed the recording up a bit as my brain wasn’t at full speed) to the wrap at the end of the day. Helicopters are noisy windy things (esp. without the doors) so sound is tough, but they make up for it with spectacular scenery. You’ll enjoy coming for the ride by the seat of your pants over some of the most amazing scenery on the planet. Lord of the Rings fans should come along too (you’ll have to see why). I can’t show you any results from the photo shoot just yet, as we’ve only started and have a few more shoots to do for the client, but you should see them later on in the year – hopefully on a billboard near you! 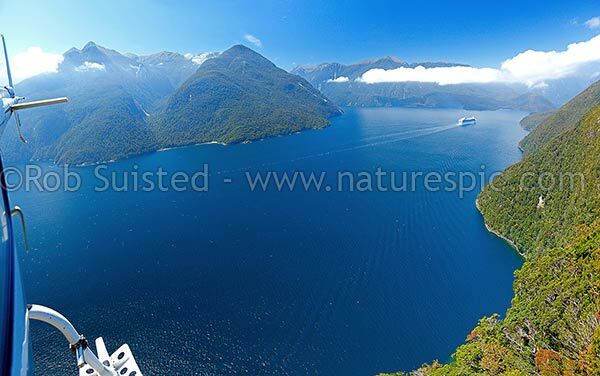 An amazing thing for me was that we flew through an area that Evan and I slogged through for 2 tough weeks in Fiordland last year (and I lost 6kg in weight!). We breezed through in 2 minutes! Sit back, strap yourself in, and come along for an exciting ride. We’d love to hear your comments and feedback afterwards. Looks like a great way to spend a few days (other than the sandflies anyway). Good to see the G11 (10/9?) makes a nice documentary camera. Secretary Island looks wonderful…very much a Jurrasic Park or King Kong feeling. Is it just me or is the video missing frames, was jumping a lot when I watched. Still good to watch mind. Oh, and one last question, what did you use to put the video together (I’m looking at options now I have a 7D and I’ve everything to learn about video). Thanks. Being a stills photog, not a video expert, you’ll forgive the gorilla style video and editing – keeps it real though. Most was shot with a G10 from my pocket, and some with a spare 5DMk2 I had lying about as a backup body. The full HD 1080 at 14mm full frame on gyro inside the chopper at high speed over the tree tops is pretty fantastic to watch on the big screen. Done quickly on a AVS? suite. Pretty average, but fast for a stills guy. Enjoyed watching you at work; very different to the stills photo work flow/approach. Good day with good company. Not too bad eh? Have to sort out some good music for the next one though. 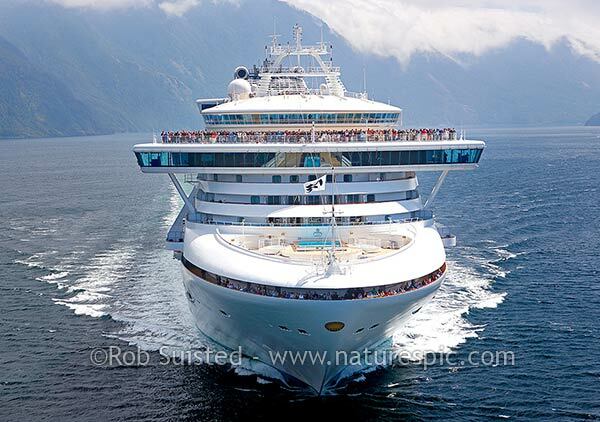 Ya know Rob, if it has to be done all over again because of low cloud, you can take the ‘Diamond Princess’ 1st class stateroom on the 14th deck with the balcony, the all day buffet, the tequila martini’s, the excellent wines, the beautiful steak dinner, the stage show, the casino, the 6 restaurants and the nightclubs with the rest of the talent crew, Carolyn, Michelle and Roger. 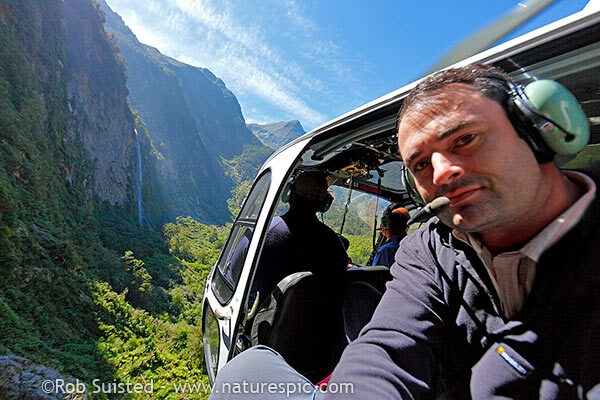 And, I’ll take the chopper ride with my Brownie Mark II …….yea right! You poor sod. I thought you were working onboard! I guess when you’re called ‘talent’ you can claim that stuff. My job is just to run around after ‘talent’ (professionally, of course), so I only get 14th floor in the helicopter and the door off for air conditioning! Nice to meet you ( and love your work). Yea, Miles came down with the dreaded “Fiordland Ancheron-miff” He actually excused himself as we started shooting in Ancheron Passage; got all hot & sweaty as the ancheron-miff, a direct descendant of the mysterious miffen moose seen further south, just took over and roared it’s ugly head. And, we thought it was extinct!! He was so lucky the beautiful blonde Russian doctor came along and confined him to his room. Funny part about it was that neither of them were seen for the next 24hrs! Was he now extinct too!? Hamish had to take over his camera. It was only when we came ashore at Port Chalmers that Miles surfaced and, he wouldn’t say a thing…in fact, his stuttering sounded sorta like an upperclass, eastern bloc roar. God only knows what went on in his confinement and, he wouldn’t share his photos either so we have no proof of the missin ancheron-miffs. Oh well, I guess worse things can happen at sea. I’m glad you were always above that; just remember to keep those cameras roll’n above the clouds and you won’t ever get miffed! 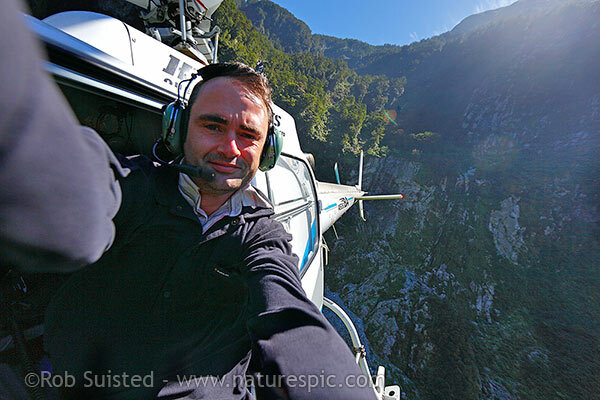 You're reading Helicopters and cameras behind the scenes in Fiordland, wow at Nature’s Pic Images Blog.